Poe understood very well the significance of "invention, creation, imagination, originality" in fictional literature. We notice these characteristics in nonfiction and fictional short stories by Floriana Hall. Poe understood very well the significance of "invention, creation, imagination, originality" in fictional literature. We notice these characteristics in nonfiction and fictional short stories by Floriana Hall. The stories depict life in its real complexities, and "convey definite inspirational messages. " The stories are remarkable for their variety. 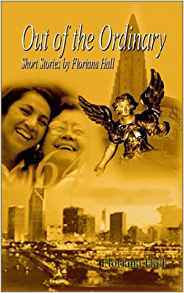 "Of Prayer and Angels" reveals her belief in angels. The story is full of tenderness and pity, as the author illustrates how her faith in God was intensified at the age of seven in the summer of 1934. "The out-of body experience had a definite effect on my life." "Shaun's Quest" is a children's story, which teaches tolerance. Invading their dreams like whipping lashes. The refrain AMERICA UNDER ATTACK adds to the artistic excellence of the poem. The stirring emotion of the poem is matchless. The stories will "help people cope in similar situations." Floriana says: "In the scheme of things, I am just an ordinary person like everyone else, but I believe I have been inspired to write to help others. " She is an extraordinary painter of life and manners, and there is an inherent moral purpose in most of the stories. Floriana asked herself: "What could I do, other than what I had already done, to help ensure that the world might be a better place for my having walked there? " In her stories there is not a single ungenerous or unkind comment. The stories at every step reflect Floriana's nobility of soul, her charity, her simplicity, and her ceaseless flow of kindliness. Each of the stories in Out of the Ordinary has a moral to convey, but the development of the story is never obstructed by the moral. Hugh Walker aptly points out that in Hawthorne there is a perfect balance- the story is the moral. The same is true about Floriana Hall's extraordinary short stories.